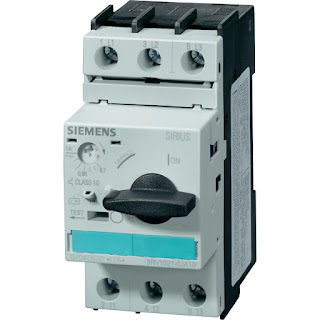 Motor Protection Circuit Breakers and Moulded Case Circuit Breaker and are devices used to open and close a circuit manually and interrupt the circuit automatically on the occurrence of faults. MPCBs and MCCBs are used to protect against overload and short circuits. 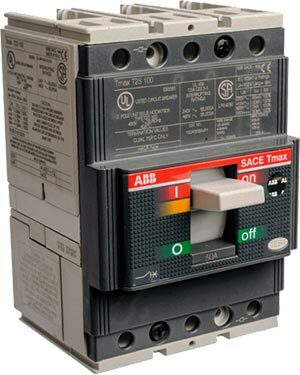 Application of Motor Protection Circuit Breaker is entirely different from that of Moulded Case Circuit Breakers. Here are the few difference between MPCBs and MCCBs. MCCBs are used in power distribution and protect Low voltage distribution circuits as well as motor loads. MPCBs can protect motors against overload, short circuits, phase loss and under-voltage faults. MCCBs can protect motors against overload and short circuits. MCCBs can also provide under-voltages, earth faults and phase failure faults but these features are made available with additional accessories. MPCBs are specially designed for motor protection. MCCBs are used for general purpose circuit protection. Maximum load current can be set based on the full load current of the motor. Overload, short circuit and trip delay time can be set based on the application. MPCBs are selected based on the full load current of motors and maximum possible short circuit current. MCCBs are selected based on the maximum load current and maximum short-circuit current it must interrupt safely. MPCBs can withstand the starting currents without interrupting the circuit. When an MCCB is used as backup protection for a motor, it may interrupt the circuit if it is selected based on its full load current. So while selecting backup MCCB for a motor it must be selected based on starting current of the motor. MPCBs have an adjustable bimetallic strip for overload protection. This strip can be adjusted between two set values. Overcurrent value of MCCBs can be adjusted from 40% to 100% of its rated value. Overload relay is not required for motor circuits with MPCB backup. An MPCB can protect a motor against overload and short circuit. MCCBs, when used in motor protection circuits can protect against short circuits only. Hence additional overload relay and contactor is required. A Motor can be directly turned ON and OFF manually using an MPCB, contactor is optional. Contactor is a must in these cases. Some MPCBs come with an auto-resetting feature which allows motors to resume its operation after a short period from the occurrence of overload trip. MPCBs and MCCBs are low voltage AC circuit protection devices. While the former is specially designed for motor protection (Asynchronous / Induction motors), the latter is a general purpose protection device. However, reliable protection can be achieved only by the proper selection of these devices. Expert advice is recommended during selection. Kindly comment below your queries and opinion about this article. 1. What is the difference between MPCB and MCCB?